The major investor in the Amaila Falls Hydro Project, Sithe Global has pulled out from the US$858M Project, citing a lack of national consensus on the part of the Parliamentary opposition. iNews confirmed with government officials that the US company has shut its doors, after investing some US$16M in the project. On Thursday morning, the National Assembly passed the legislation relating to the Project, but without the support of the main opposition – A Partnership for National Unity (APNU). 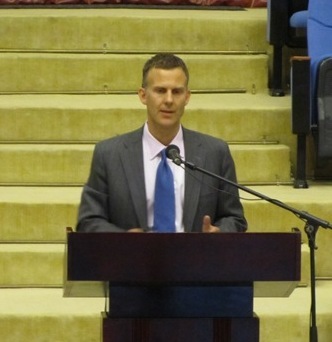 At a recent consultation at the conference center, President of Sithe Global Brian Kubeck called on the parliamentary opposition to support the project. However, while the minority opposition – the Alliance for Change voted in favour of the Amaila Bills in the National Assembly, APNU parliamentarians did not. During a brief statement at State House today, President Donald Ramotar did not confirm that the company pulled out of the project. Instead, he told some media personnel that government is doing the best it can to save the project as they are still in talks with the officials of Sithe Global. The government has spent more than US$12 million to build an access road to the site.